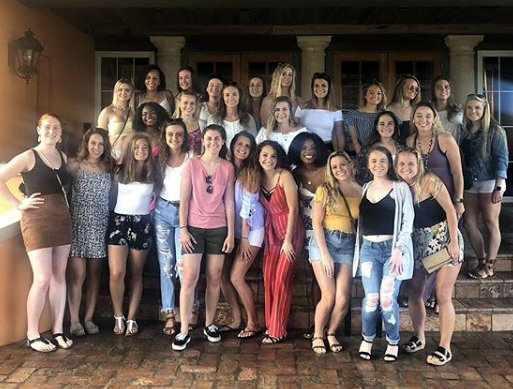 Visiting Rowan University defeated the Bermuda National Women’s Hockey team 3 – 2 at the National Sports Center. Rowan University would go ahead through a Molly Gorczyca Field Goal in the 1st quarter, Rachel Galante would double the lead for the visitors in the 2nd quarter from a Short Corner and then Julie Johnson would make it 3 – 0 to Rowan University with a Field Goal in the 3rd quarter. The Bermuda National team would fight back with a Maha Clarke 3rd quarter Field Goal, before Georgia Harris pulled Bermuda within one in the final minute off Penalty Corner, but time ran out with the visitors picking up the win.